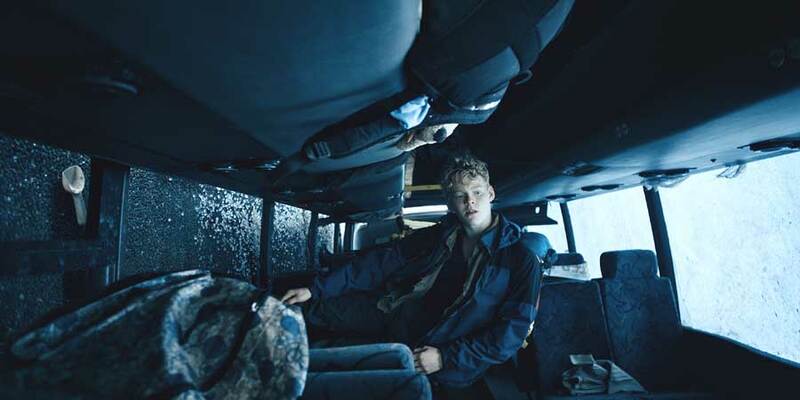 THE RAIN is the first Danish Netflix production and fortunately, it’s a very high-quality genre show. We’re not that crazy about the story, but we’ve only watched the first 3 episodes. There is definite potential! 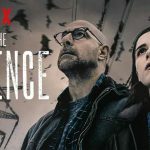 We’ve seen the first 3 episodes of The Rain – the first Danish show on Netflix. At first, we thought it was a zombie show of some kind, but we’re dealing with something more along the lines of Mad Max. A horrible virus spreads through the rain – hence the title The Rain – and has killed the majority of the Danish population. We follow some of the survivors. At first, it’s just two of them, which is really intense. And also really great! Actually, we have to commend the crazy start of episode one. Unfortunately, it’s not really something the show can sustain, but we’ve only watched the first 3 episodes. There’s a little too much teen-drama as well as obvious problems. The kind that’s more annoying than thrilling. But, we’re cautiously optimistic, since there are some pretty great moments. 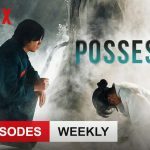 The latest trailer is showing some interesting stuff, so hopefully, everything will be getting better in the final 5 episodes on Netflix. Watch the trailer for The Rain season 1 right here or continue reading our review below. This show has a really high production quality. This is mainly thanks to visual effects supervisors Jonas Ussing and Thomas Øhlencshlæger. Their fingerprints are evident all over this production. And I do mean that in the best possible way. If you’ve seen the short movie Zombiehagen (which Jonas Ussing directed), you’ll see some familiar scenes. 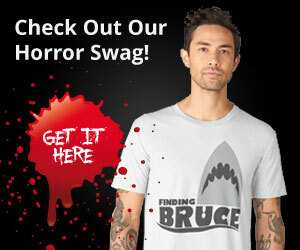 And if you haven’t watched Zombiehagen yet, you really should check it out. It had a showing at Comic Con Copenhagen in 2016, where Jonas had a Q&A with the lead actors afterward. For Danes (or anyone who knows Copenhagen), it’s extra thrilling to watch The Rain. We’re not used to watching our capital in genre movies. And certainly not with completely empty streets and squares. It’s a pleasure to see something so visually stunning from Denmark. Especially since the Germans delivered the Netflix show Dark, which became a global success and will be getting a season 2. Even though it’s nice to see our native Denmark in a show on Netflix, there are certain elements in the story that are not great. Non-Danes will probably not notice, but in The Rain, it only takes a couple of hours to walk a distance that should take 11 hours in real life. It completely ruined the illusion for me to see people moving around that quickly on foot. Sure, it’s a small thing, but imagine if characters in The Walking Dead just walked from San Diego to Los Angeles in an hour. It can’t help but mess with the logic. When that happens, the illusion is broken, which is just silly when it’s so easily avoided. And especially when Jonas Ussing and his crew have made sure that everything we see is believable. Why mess it up with sloppy storytelling?! Also, too many parts of the story remind me of I am Legend. Maybe not completely, but it seems the starting point is the same. Though, there are no zombie-like creatures in The Rain. Not in the first 3 episodes anyway. I truly believe all the actors are doing a great job. Unfortunately, some of them simply have very boring characters. And by boring I mean stereotypical and oh-so-predictable. Though, that does not seem to apply to Alba August, who portrays one of the lead characters. 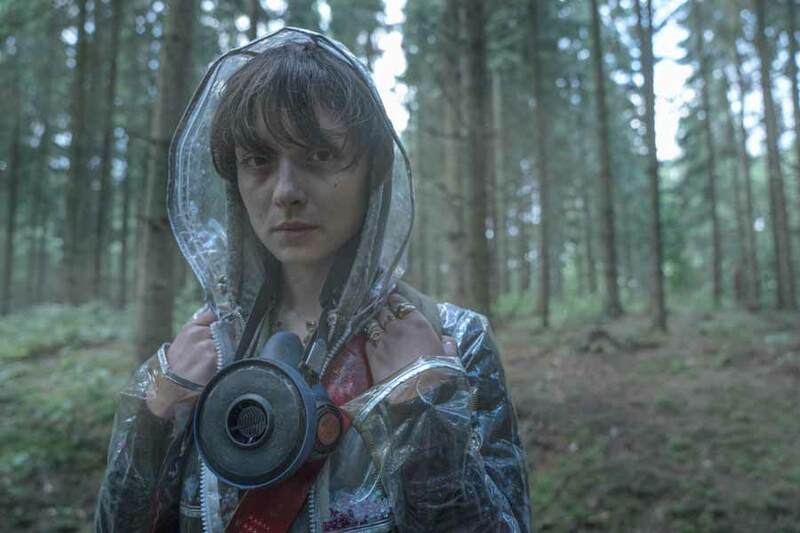 She’s trapped in a bunker with her brother, played by Lucas Lynggard Tønnesen (as a teen). He also does a very good job – even though he gets some of the stereotypical elements to work with. However, after watching the first 3 episodes I really can’t wait to follow Beatrice, played by Angela Bundalovic. She’s a really interesting character who will hopefully blossom and get even more exciting in later episodes. She could end up one of the stereotypical characters. Fingers crossed that it won’t happen. Mikkel Boe Følsgaard is another lead actor, who portrays the character, Martin. So far he’s interesting to follow, even though he’s a bit predictable. But Følsgaard is always a great actor, so you don’t notice it too much. Martin is also one of the few characters we get to follow before the apocalypse (in flashbacks), so that’s very interesting. 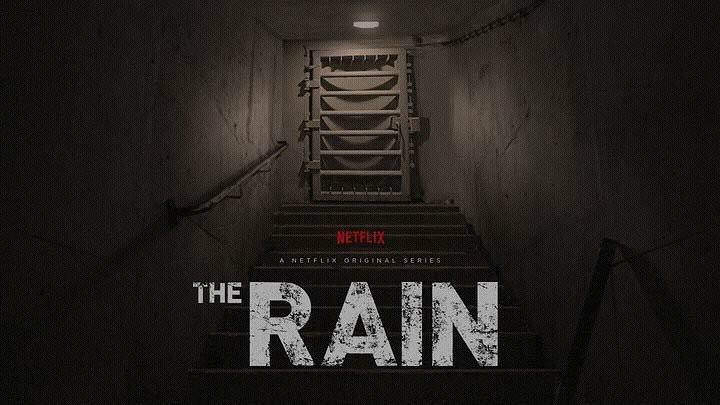 Right now we’re looking forward to watching the entire season 1 of The Rain, when it’s released on Netflix May 4, 2018. And yes, it will definitely be binge-watched, so we don’t get any spoilers. 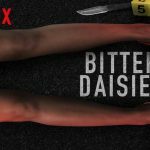 Here’s hoping there’s something truly spoiler worthy, which could get people excited about this Danish Netflix production. We are, afterall, pretty partial to our native productions and hope it’ll be a huge success. Our review of The Rain season 1 is based on the first 3 episodes. 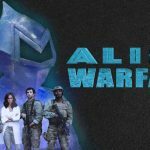 Season 1 is released globally on Netflix May 4, 2018. The world as we know it has ended. 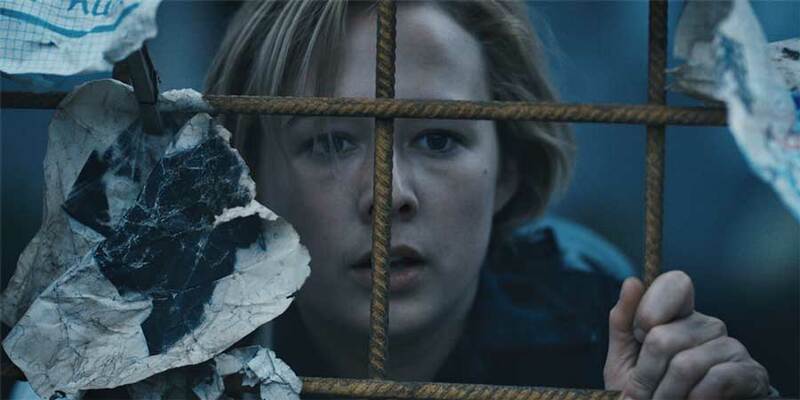 The story takes place six years after a brutal virus, carried by the rain, wiped out almost all human beings in Scandinavia. Two Danish siblings emerge from the safety of their bunker to find all remnants of civilization to be gone. Soon they join a group of young survivors and together set out on a danger-filled quest through abandoned Scandinavia, searching for any sign of life. Set free from their collective past and societal rules the group has the freedom to be who they want to be. In their struggle for survival, they discover that even in a post-apocalyptic world there’s still love, jealousy, and coming-of-age. Many of the problems they thought they’d left behind with the disappearance of the world they once knew. Who will you be when the rain comes?